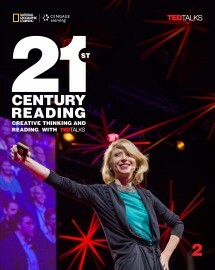 Created in partnership with TED, a non-profit dedicated to spreading ideas through short, powerful talks, 21st Century Reading is the perfect forum for learners of English to make connections with topics ranging from science to business to global issues. Using TED Talks as the springboard to share ideas, this new four-level reading series shows learners how to understand and respond to ideas and content in English. Critical and Creative Thinking skills—including analysis, evaluation, synthesis, reflection, inference, and problem-solving—are fully integrated into every unit, to help learners develop academic skills.